We have locations throughout North Carolina that offer NC State Inspections, and each of our locations has an ASE-Certified Master Technician overseeing all repairs. 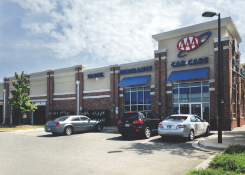 Although it can seem like a nuisance to bring your car in for an inspection every year, AAA Car Care Centers make it easy for you. Your safety and the safety of others on the road is important to us. 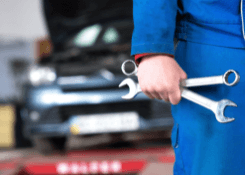 Why NC State Vehicle Inspection? Most North Carolina counties require both inspections upon registration renewal. New residents in North Carolina are not required to bring their vehicles in until it's time to renew their NC registrations. South Carolina does not need any safety or emission checks because the state meets all federal clean air standards. It’s important to have inspections done on time in North Carolina to avoid having your registration suspended. Depending on the county you live in, the examination will consist of one to two parts. 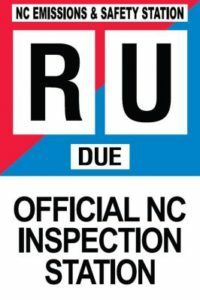 All counties in NC require a safety inspection. You can expect the following things to be checked: Headlights and accessory lights, tire tread, exhaust system, rearview and side mirrors, horn, turn signals, foot brake and parking brake, windshield wipers, and steering mechanics. If you are in an NC county that requires you to pass an emissions inspection as well, the following components will be checked for functionality: Catalytic converter, exhaust gas recirculation, fuel evaporation control, oxygen sensor, gasoline tank cap, unleaded gas restrictor, and the onboard diagnostics system (OBD II). Your vehicle could fail the inspections if one or more problems exist, such as having the "Check engine" light illuminate during the emissions test, heavily worn or bald tires during the safety check, a broken headlight, or window tint that is darker than the legal limit. If you notice any of these problems before inspection, you can avoid failing the tests by having your AAA technician correct these issues. 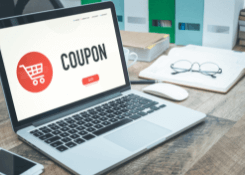 In North Carolina, you can renew your vehicle’s registration and have your annual inspection completed up to 90 days before your current registration expires and no later than 15 days after your registration expires. If you don’t renew your registration and have your vehicle inspected within that timeframe, you could be subject to fines and penalties.